French photographer, Stanislas Guigui was born in Paris in 1969. Interested in the social themes of exclusion and marginal groups, he has been building since 1996 a photographic work in which he is not moralising but questioning our capacity to get indignant about the injustices created by our society. In 1996, he moves off to Colombia. As a consequence of the civil war, thousands of homeless people haunt the streets of Bogota and more precisely of El Cartucho district, the biggest Cour des Miracles in South America. In 2003, Stanislas Guigui is accepted by the residents of that neighbourhood. He will take photographs of them during the next 3 years, showing their miserable living conditions, the smoking of crack and the fights between men armed with knives. Now settled in Marseilles, Stanislas Guigui takes photographs in and of the northern districts of this city. He realised several social reportages always focused on non-conformists. Otherwise, in 2013, he is sponsored by the Olympique de Marseilles to produce a series of portraits as part of Marseilles Capitale Européenne de la Culture. 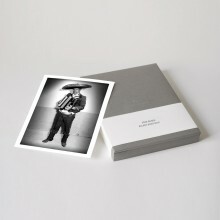 In 2014, he published his second book “Atras del Muro” which gather portraits of “Neros” from El Cartucho district who pose having their back to a white wall like a fashion shoot.